Download The Keymakers' SRL album and top songs on the SRL Record Store. Meet The Keymakers - Rome Alexander and Rederic. Born and raised in Pittsburgh, USA, the two brothers now live together in Boston. Though very close from an early age, they worked on music almost completely independently until 2016. Under the guidance of Jesse Christophr and the AMAG artist collective, founded and headed by industry leader Anshuman “AM” Sharma, the two have been developing their artistry and writing and producing for others, which has included traveling each month to both Miami and Toronto for studio sessions with other talented musicians and producers. Just a few months after they began collaborating, the duo was working with high-profile artists, earning their first placement with Canadian artist, Kristina Maria and Celine Dion's former manager, Vito Luprano. While they continued to write and produce for other artists, working closely with the AMAG team, the two were eager to launch their career as a duo and pour their creative energy into the project. “We’ve got so much music in our heads that we want to get out to the masses,” said Rederic. “We’ve honed a unique sound, and we’ll be experimenting with a bunch of different styles and genres that I think will surprise a lot of people”. Rome added that “‘Good for You’ is a great taste of what we’re trying to do, but we’ve got so much music that we really think people are going to enjoy. We can't wait to get started". 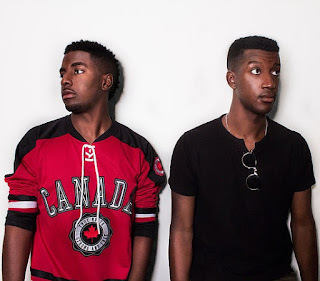 Two top singles later, including their debut as a duo, "Good for You", and it's safe to say The Keymakers are already on their way to becoming an R&B music sensation that will never be forgotten. Watch The Keymakers' top music videos on YouTube. Discover and stream more of The Keymakers' songs, albums and music videos on Soundcloud. Listen out for "Good for You" and other top songs by The Keymakers on Skunk Radio Live R&B Radio programs.